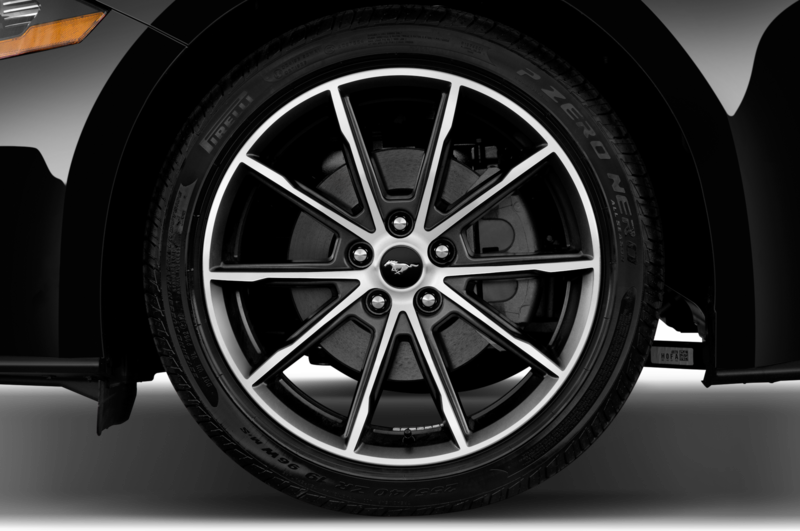 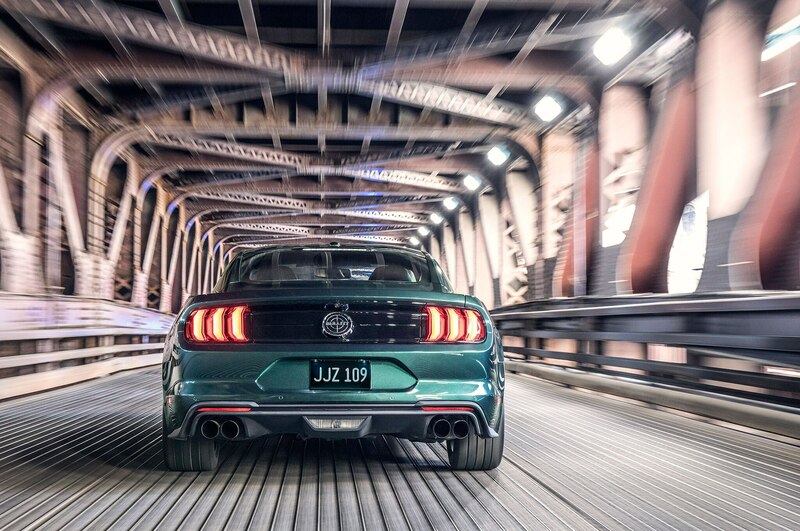 Bullitt is back—the 1968 Steve McQueen classic and the best movie Mustang of all time. 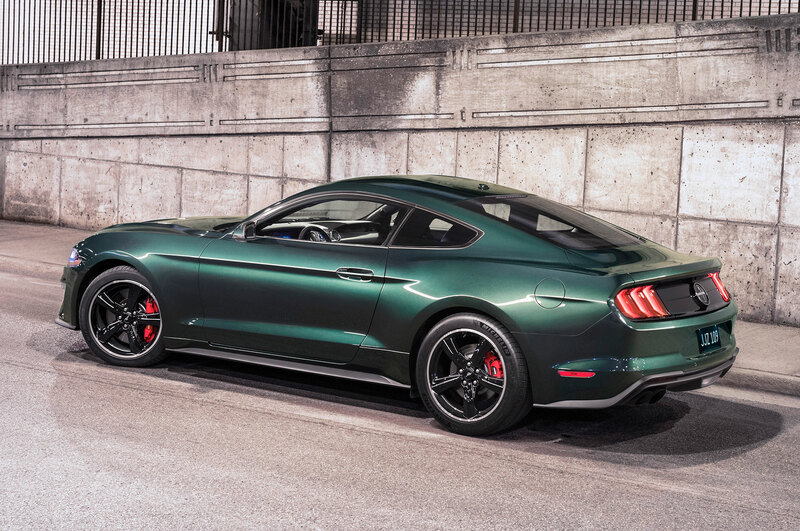 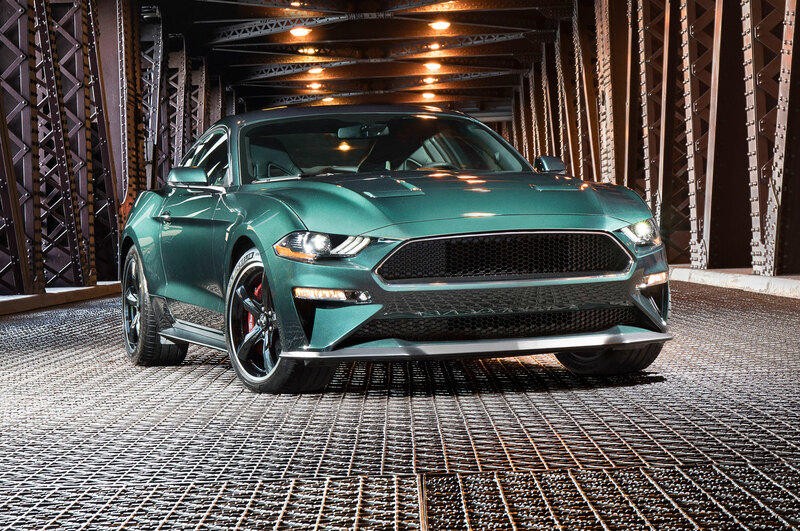 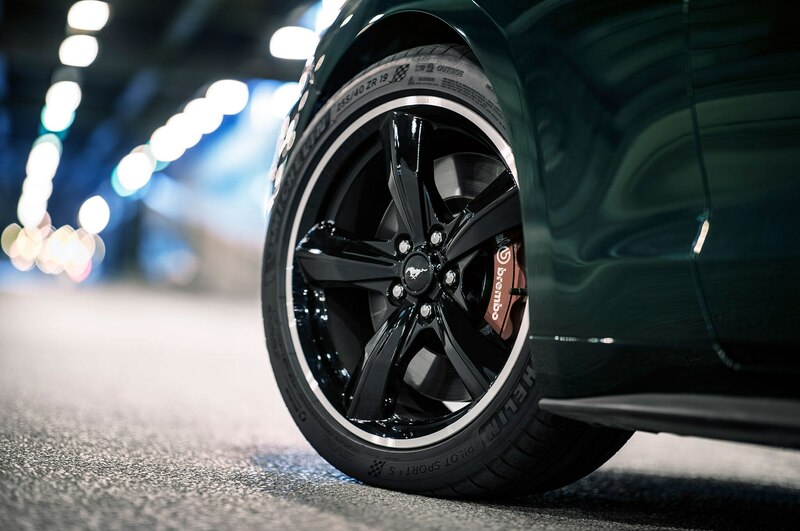 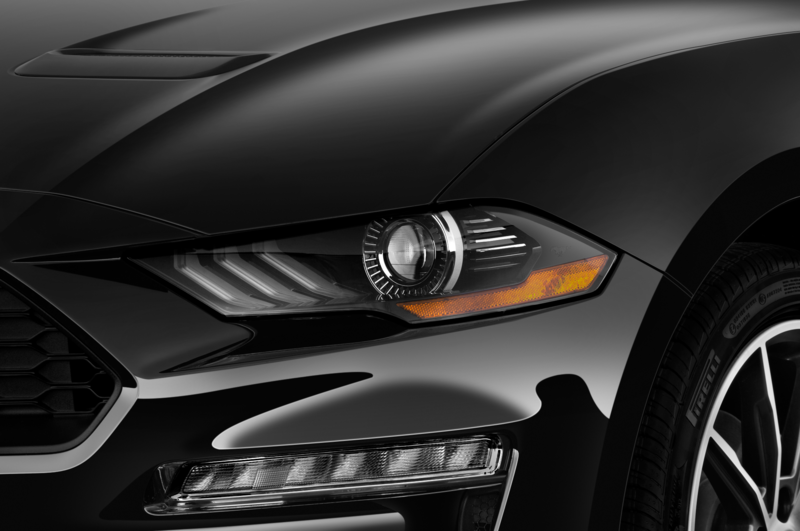 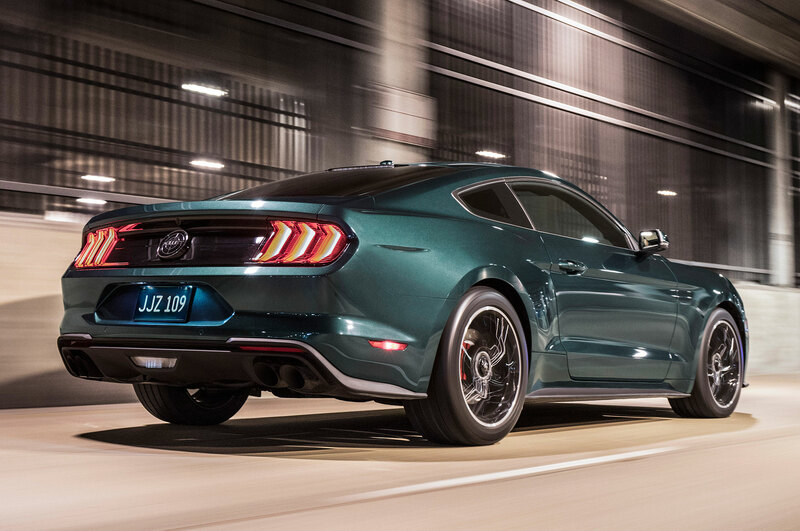 A 2019 Ford Mustang Bullitt was officially revealed in Detroit. 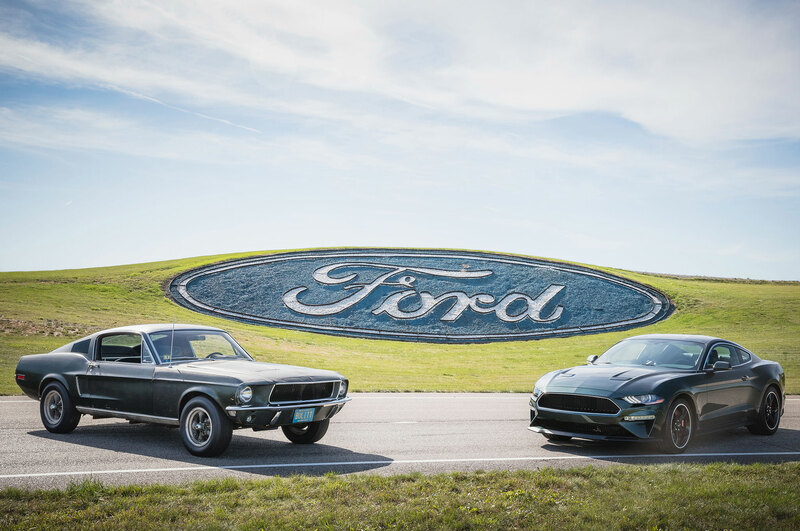 It’s not a Highland Green 1968 GT 390 fastback, but parked next to one it looks like a hell of a ride too. 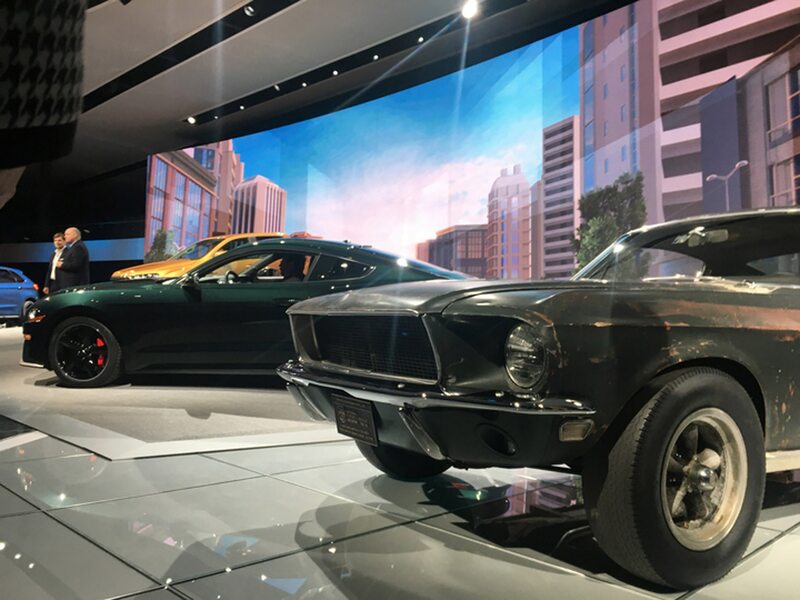 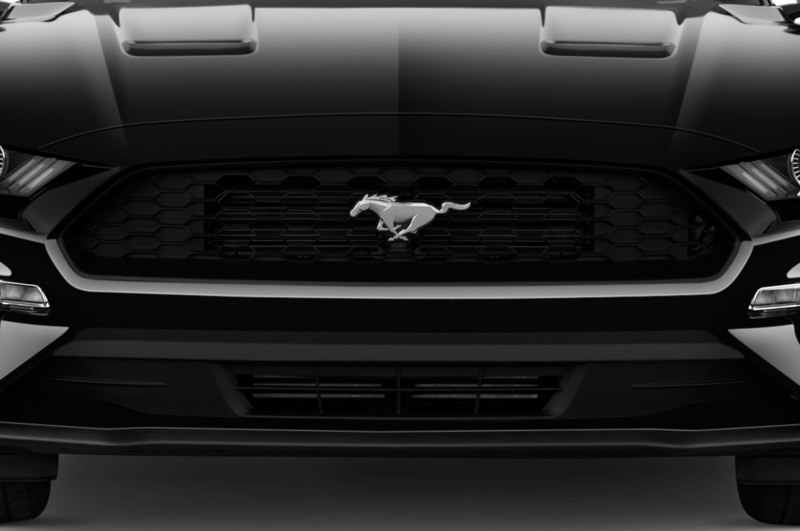 The original Mustang from the movie also shared the stage with the new reincarnation. 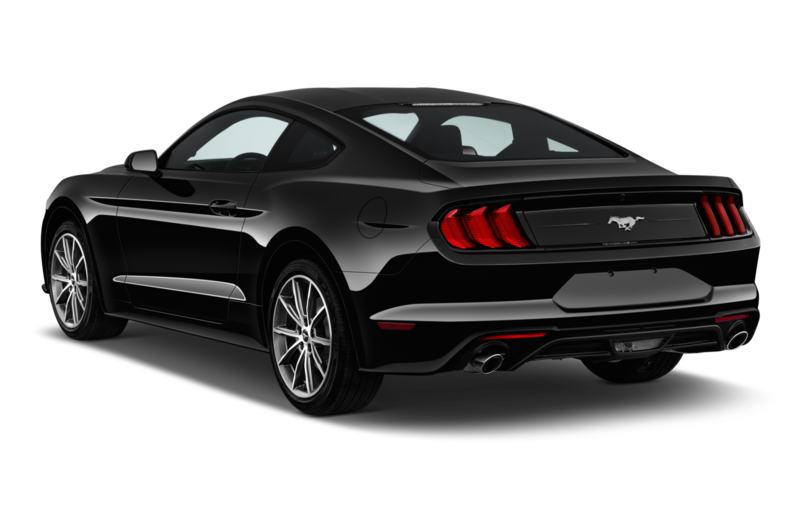 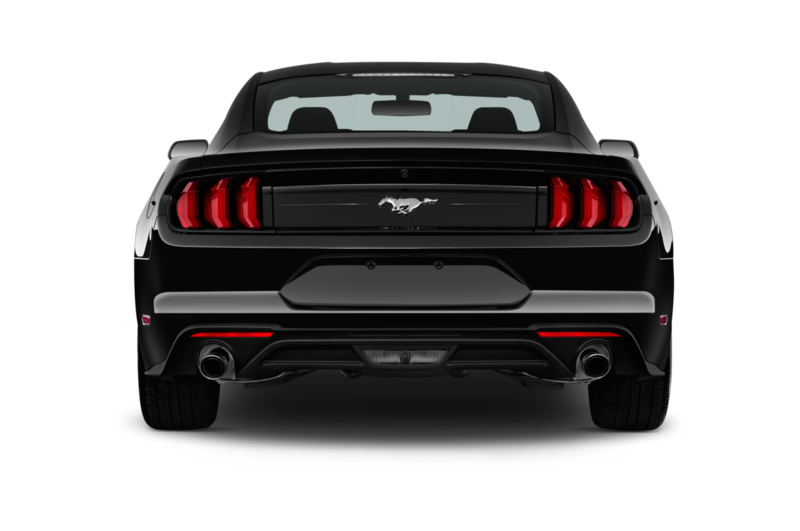 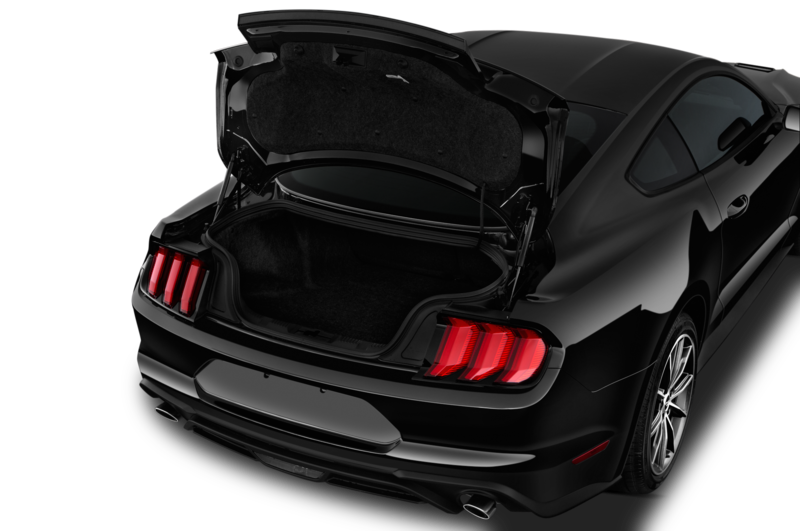 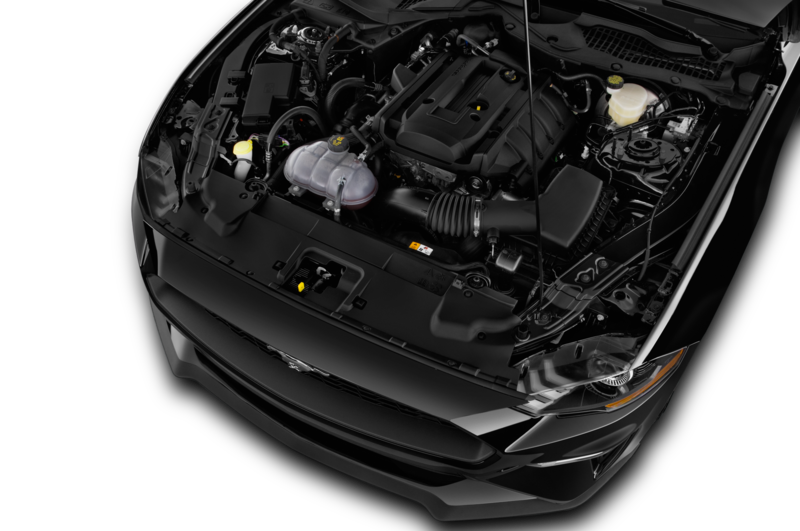 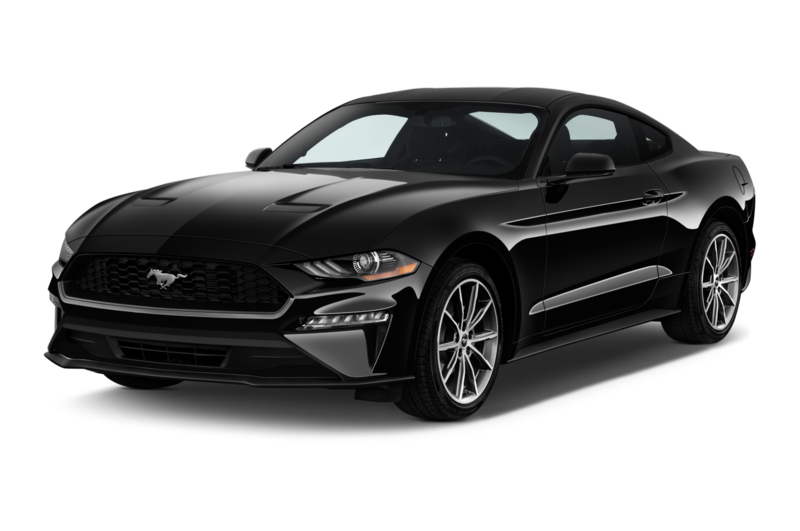 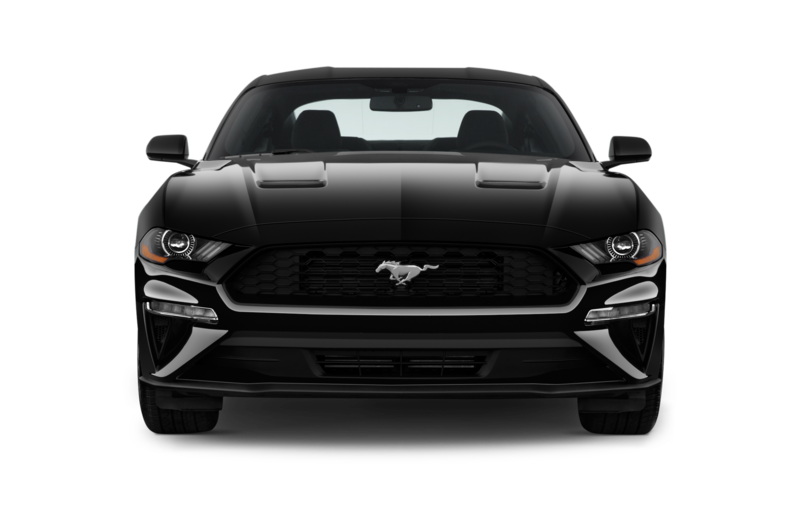 Under the hood, the 2019 version packs a 5.0-liter V-8 engine that offers 475 hp and 420 lb-ft of torque. 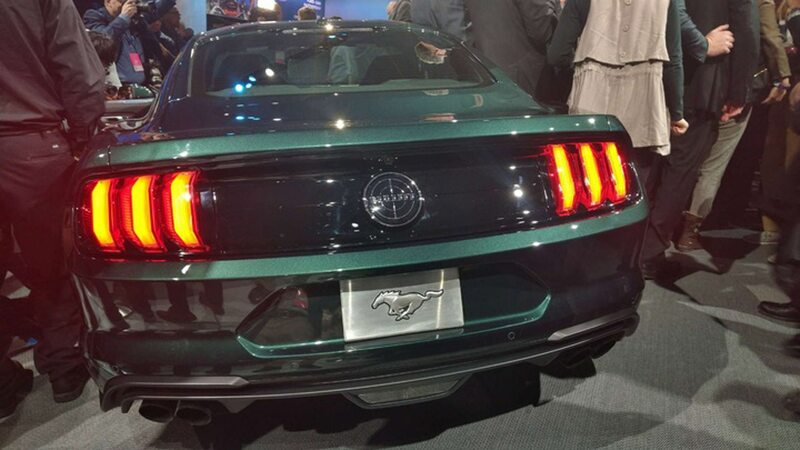 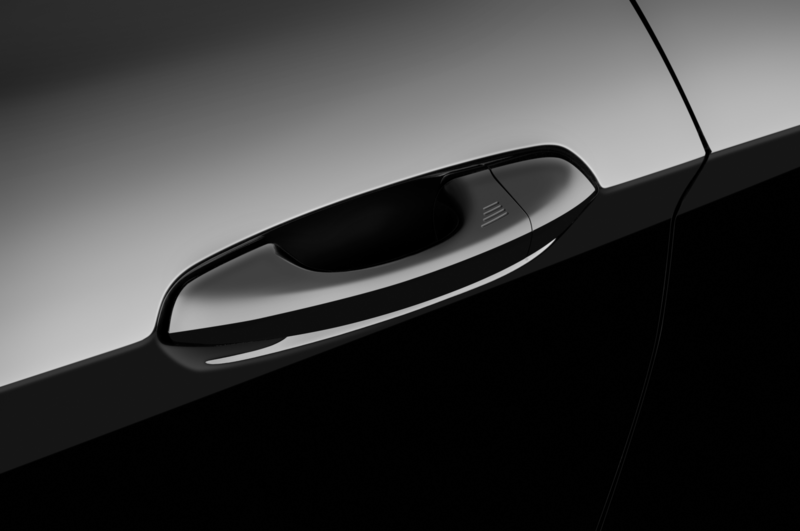 It’s available in Dark Highland Green with chrome accents. 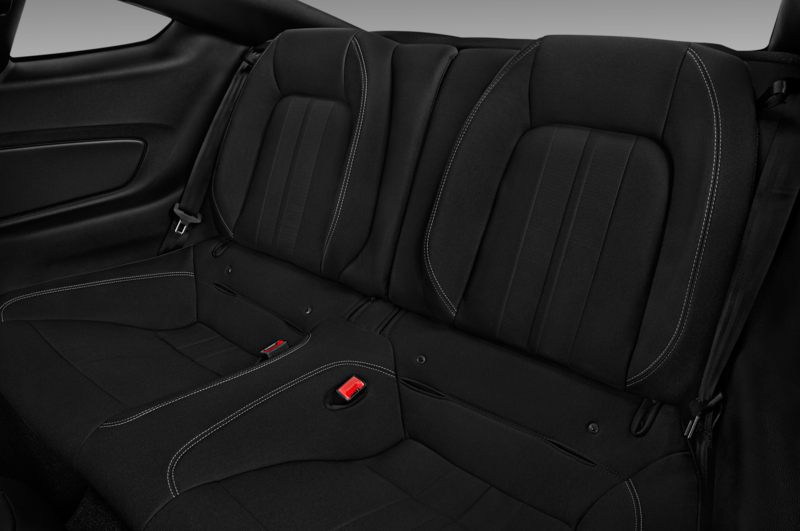 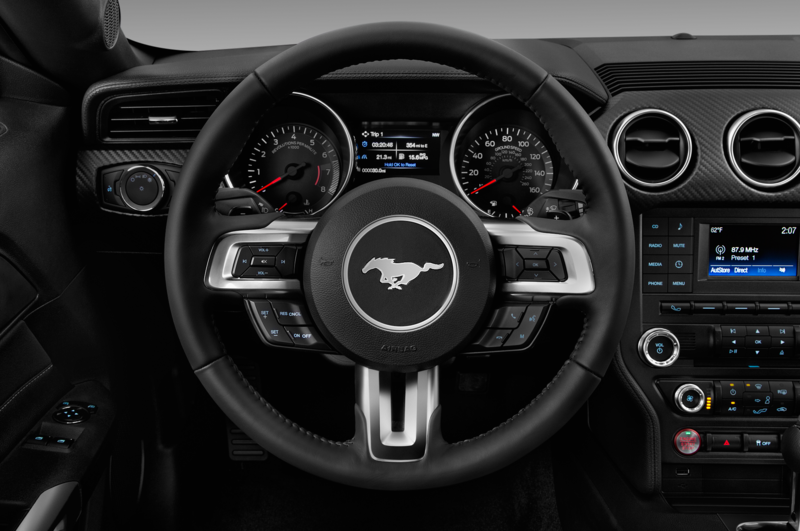 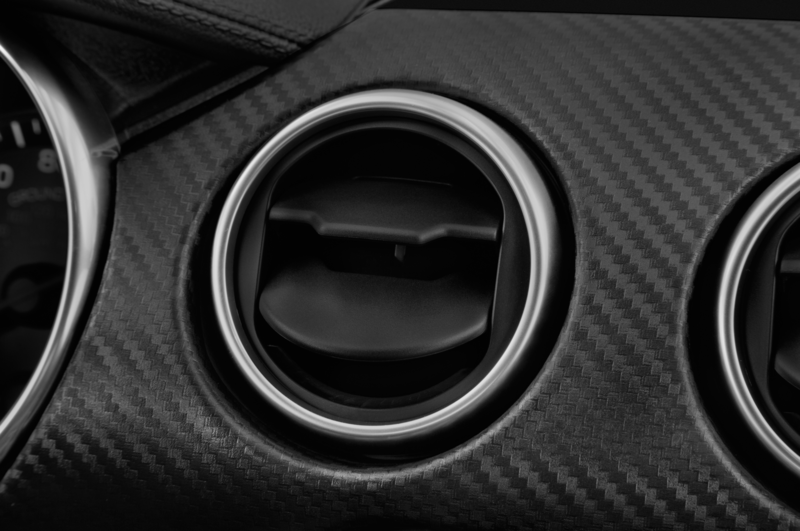 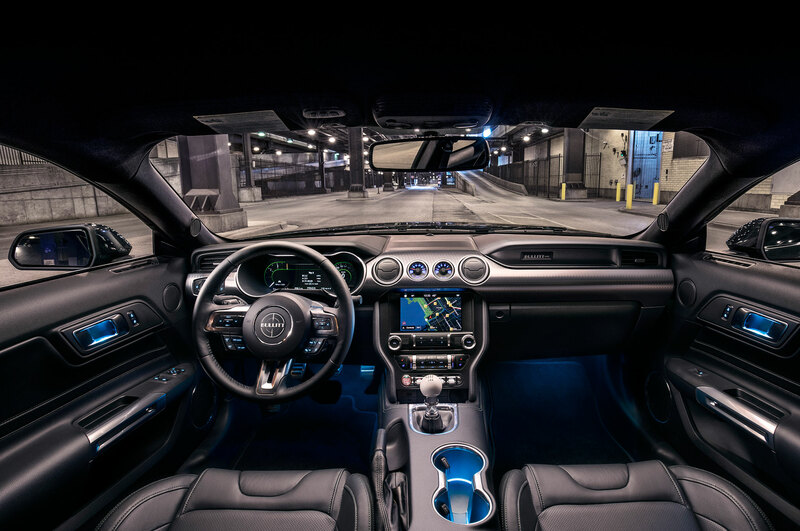 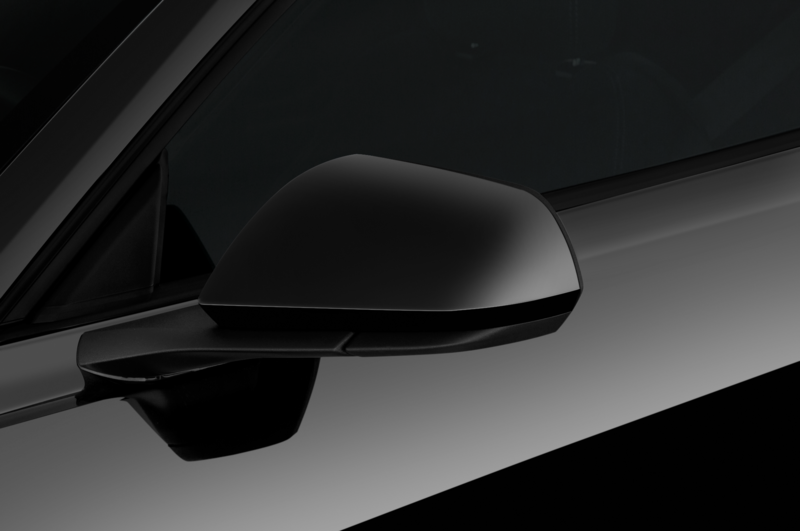 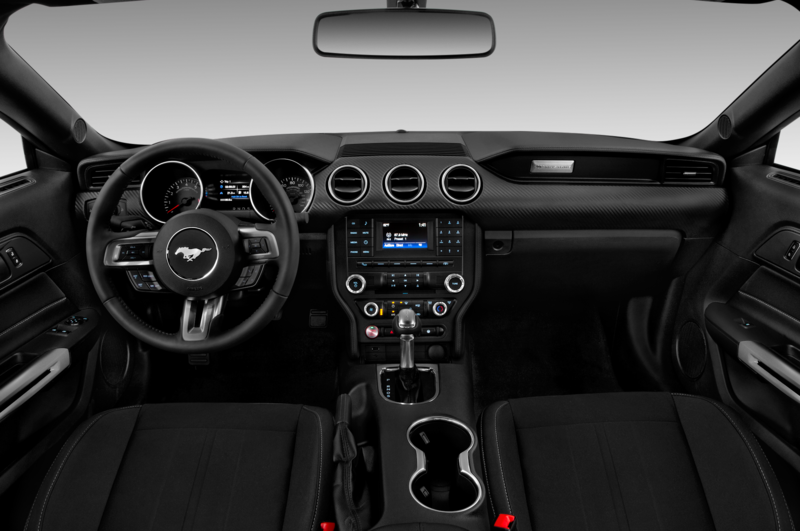 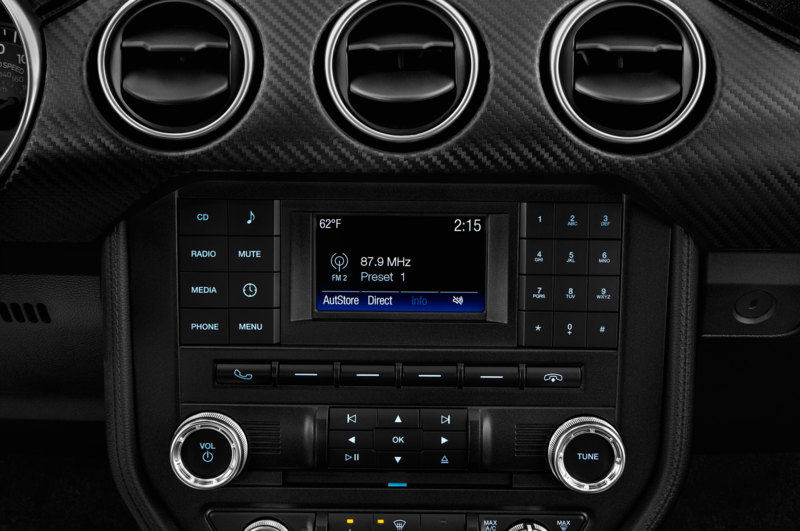 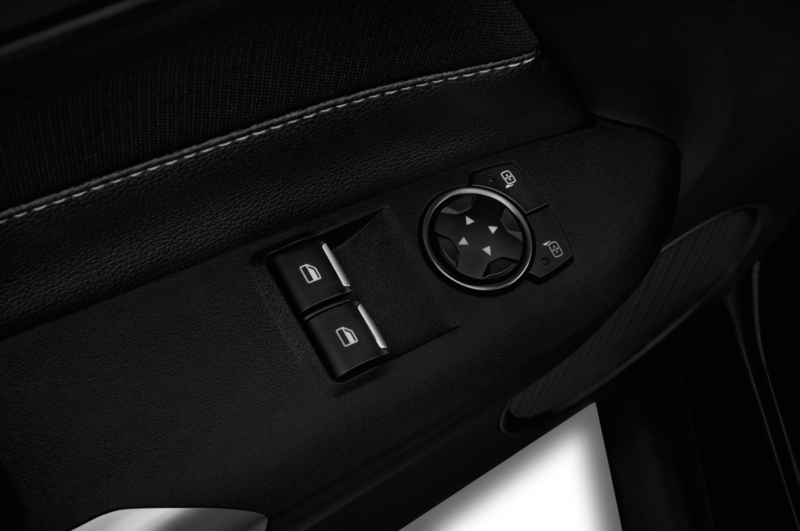 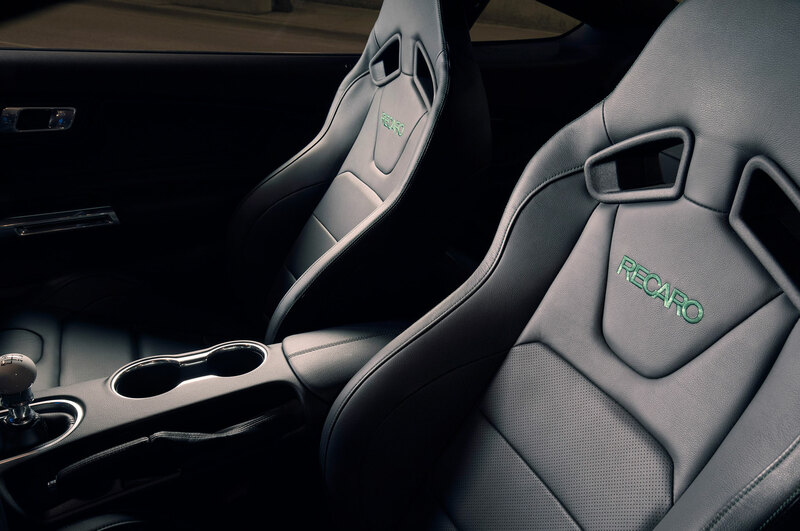 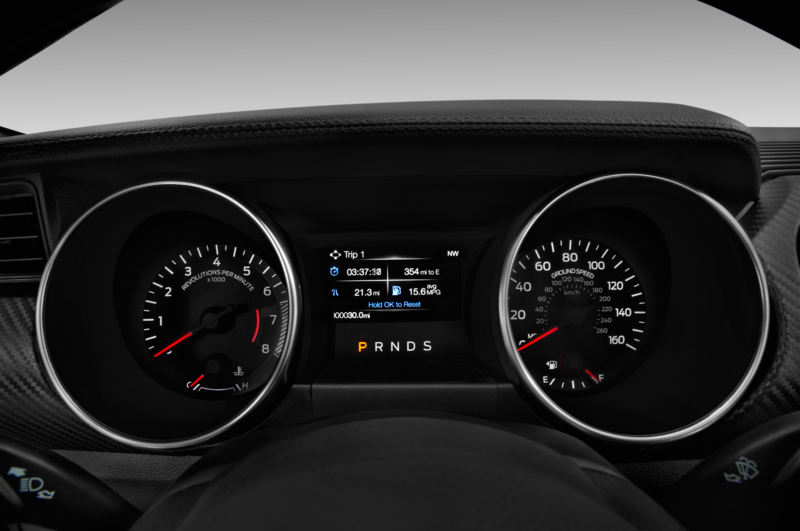 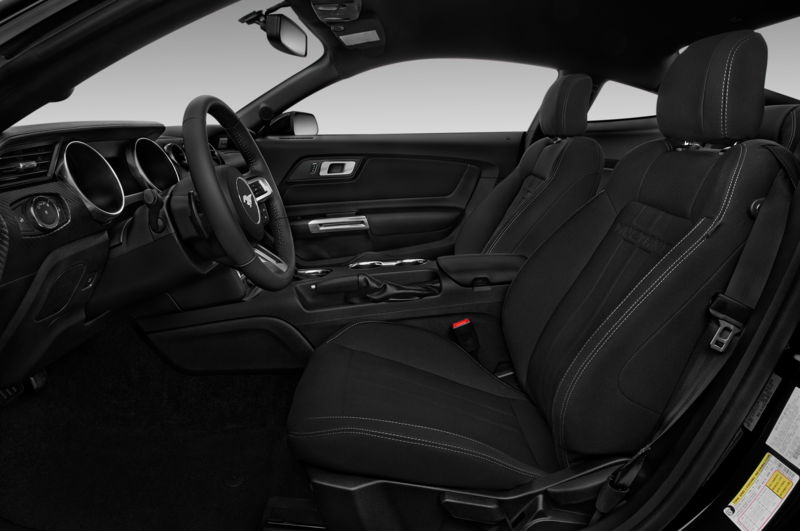 Inside gets a 12-inch digital LCD instrument cluster with optional black Recaro seats with green stitching. 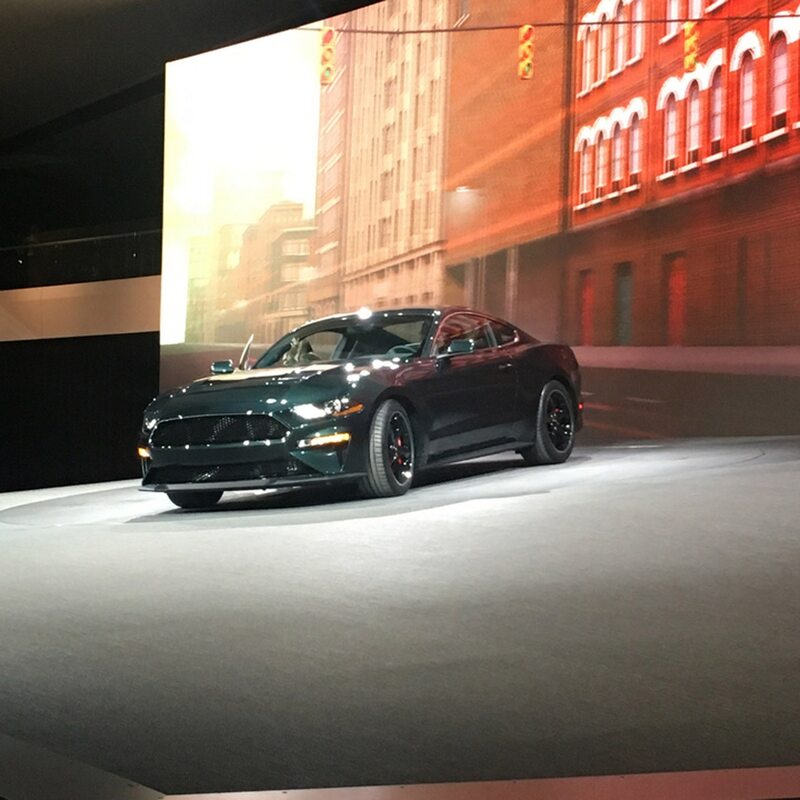 We hear from Motor Trend that the first Bullitt off the line will go to auction on January 19 for charity. 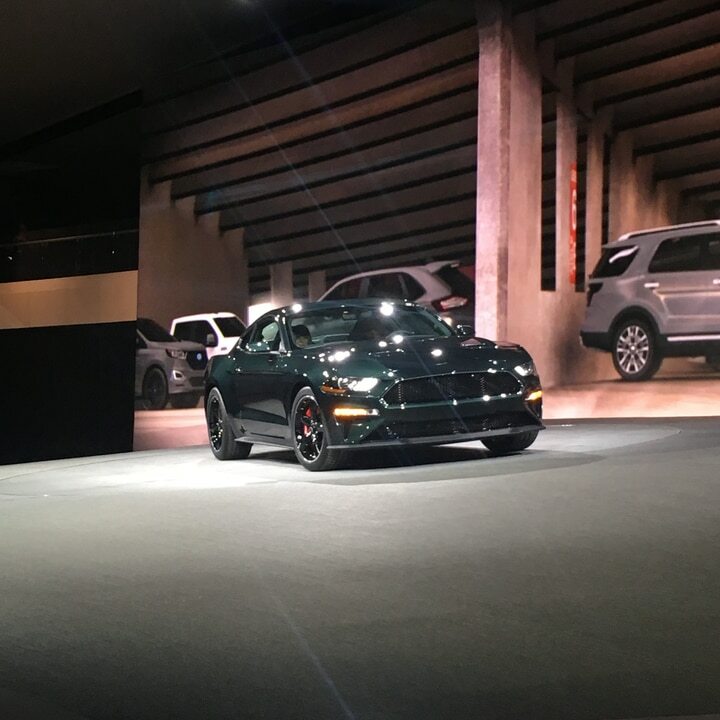 Check out our exclusive photos from the reveal here. 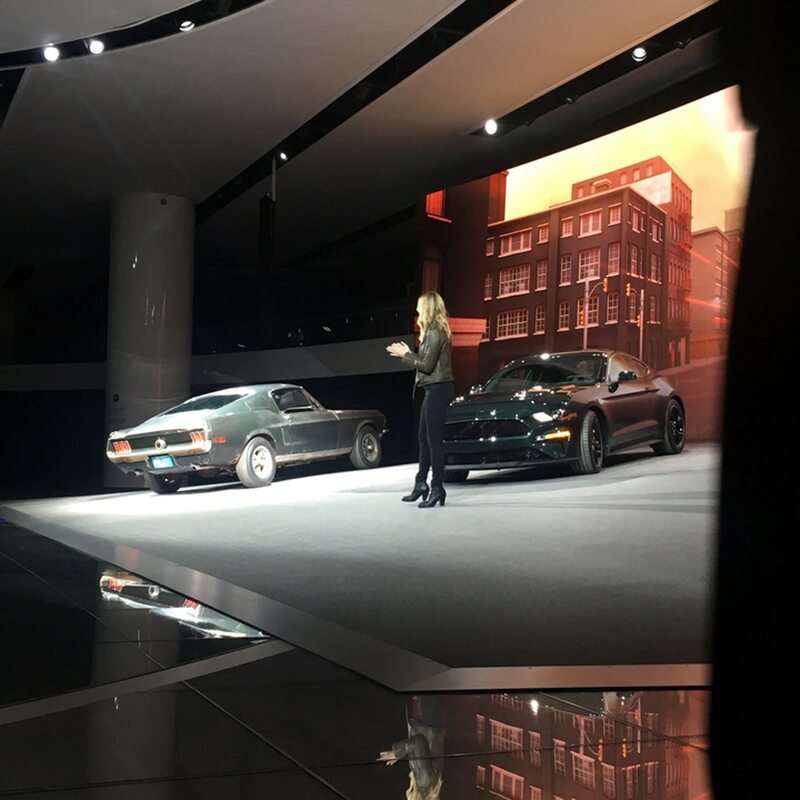 A video featuring a third-generation McQueen—Molly—introduced the new model in Detroit. 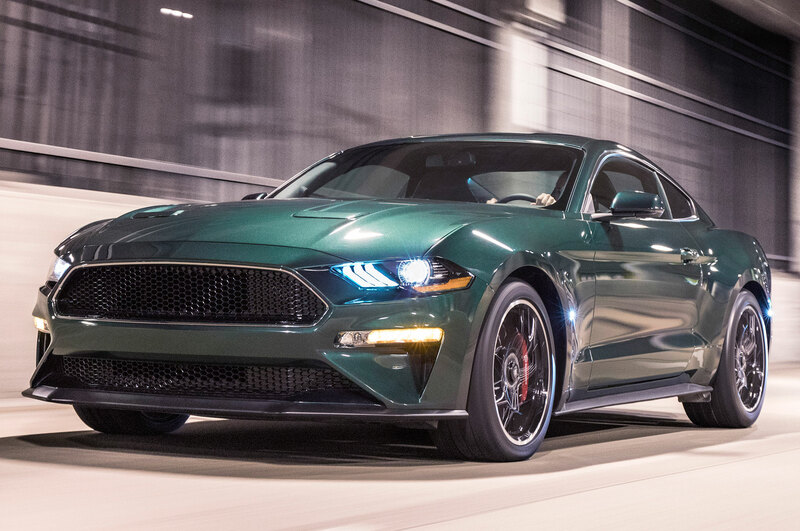 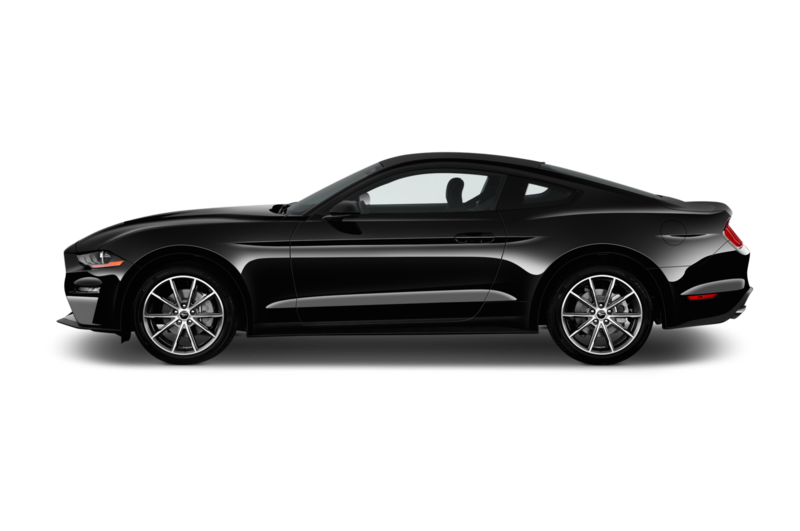 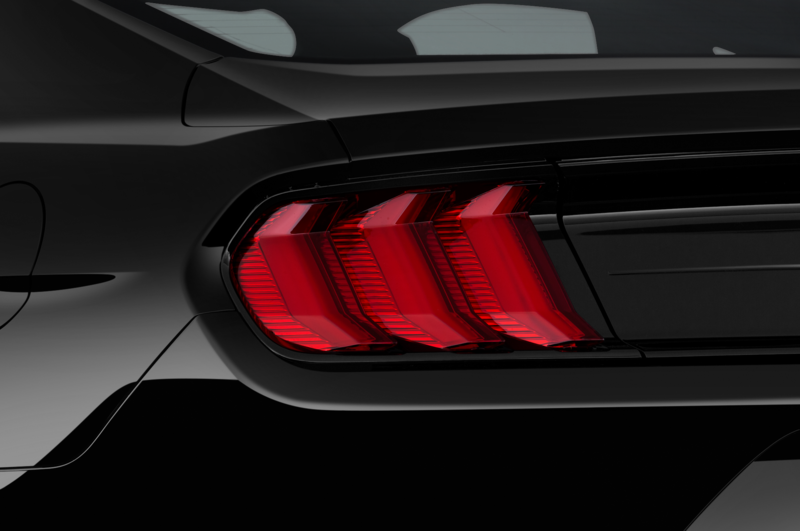 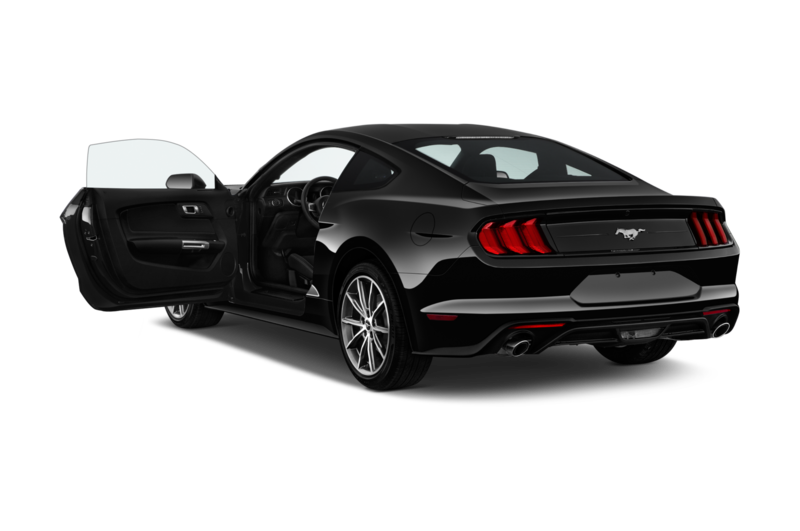 McQueen’s granddaughter also stars as a driver of the new Bullitt Mustang in the short as well.